The Surveying Profession offers a career pathway to jobs with family‐sustaining wages, high employee satisfaction and opportunities for Professional development and growth. As with many other non‐traditional industries, the surveying workforce is aging. The Maryland Society of Surveyors (MSS) is taking proactive steps to address this workforce challenge by partnering with the Mayor’s Office of Employment Development (MOED) to create a career pathway program that introduces high school students to the field of surveying. The Future surveyors Program prepares high school seniors for entry‐level employment as surveyors. Students also learn about the path to higher‐level and higher‐paying jobs in the field. Successful program graduates complete the program with real world job skills, industry credentials and have an opportunity to be hired by MSS employers. 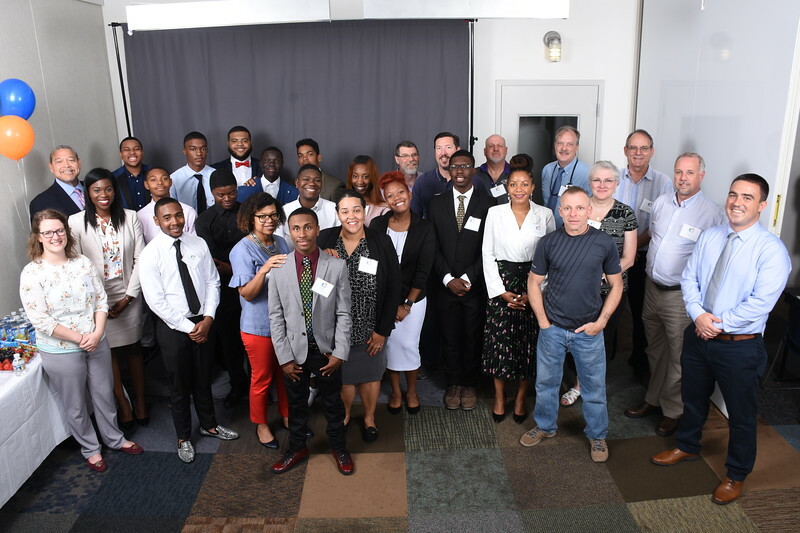 Students participate in a 8-month career exposure program to learn about cutting-edge surveying technology and the contributions surveyors make to development projects in the Baltimore region. Students participate in a 5-week YouthWorks Internship where they get paid while gaining job skills. Students are mentored by professional surveyors throughout the program. Students receive classroom instruction to prepare for the exam to become a Certified Survey Technician (Level 1). Students have the opportunity to be hired by a surveying/engineering firm after the program ends.